Mid-Autumn Moon Festivals have been held throughout Asia for more than 1000 years. The holiday is a time to rejoice over the bounty of the summer harvest, the fullness of the moon, and to recall the legends of Chang O, a tragic Chinese goddess who is said to live on the moon. The Mid-Autumn Moon Festival is often compared to Thanksgiving in the western world, because of its spirit of appreciation and the abundance of food – including the traditional moon cake; a flaky, round, semi-sweet pastry often filled with bean or lotus-seed paste shaped to resemble the full moon. Millions of moon cakes are sold and/or gifted around the world during celebrations of the Mid-Autumn Moon. 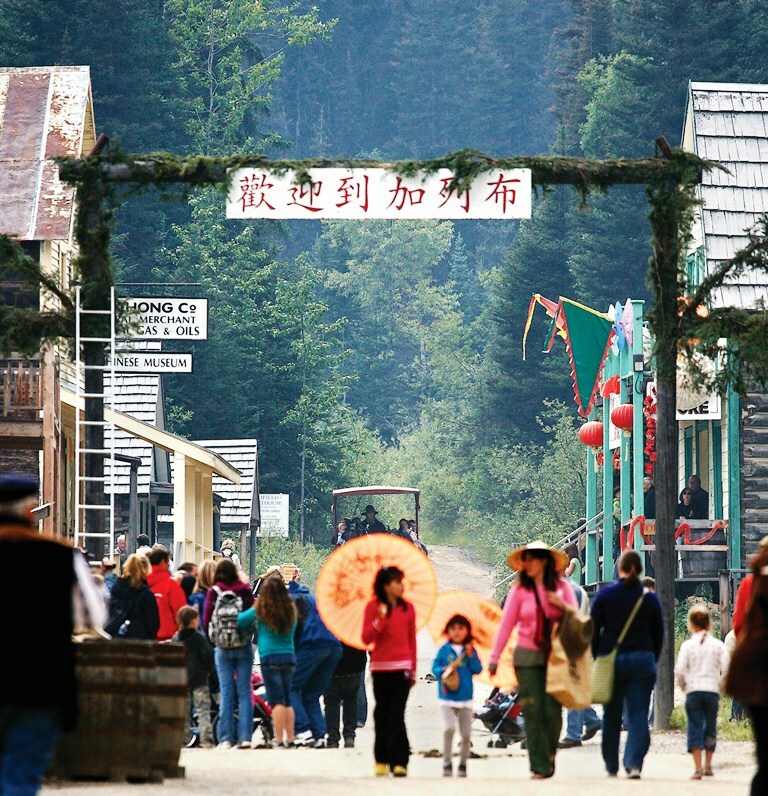 Barkerville’s annual Mid-Autumn Moon Festival includes a variety of daytime and evening activities commemorating British Columbia’s Chinese-Canadian pioneers, and is traditionally the second most popular event in the National Historic Site’s summer season (after Dominion Day on July 1st). This year, during Barkerville’s 150th anniversary season, the Moon Festival takes place Saturday, August 25th, and is certain to be more popular than ever. Lion dances, Chinese martial arts demonstrations, lantern-making workshops, a tea ceremony, games for all ages, moon cake tasting, two special celebration banquets, late-night fireworks, and a spectacular parade of illuminated paper lanterns will fill the event with equal parts revelry and reverence for one of BC’s oldest and largest ethnic communities. According to ancient Chinese astrology, the moon is at its roundest in the middle of the autumn season. Since the round shape of full moon symbolizes family reunion and togetherness in Chinese culture, one of the pre-eminent festivals in the Chinese calendar is the Mid-Autumn Moon Festival. During the festival, family members gather to eat moon cakes and appreciate the bright full moon – an auspicious token of abundance, harmony and luck. Barkerville celebrates Mid-Autumn Moon a little earlier than most – Mid-August rather than strictly Mid-Autumn – as a way sharing this special day with the historic town’s summertime guests. 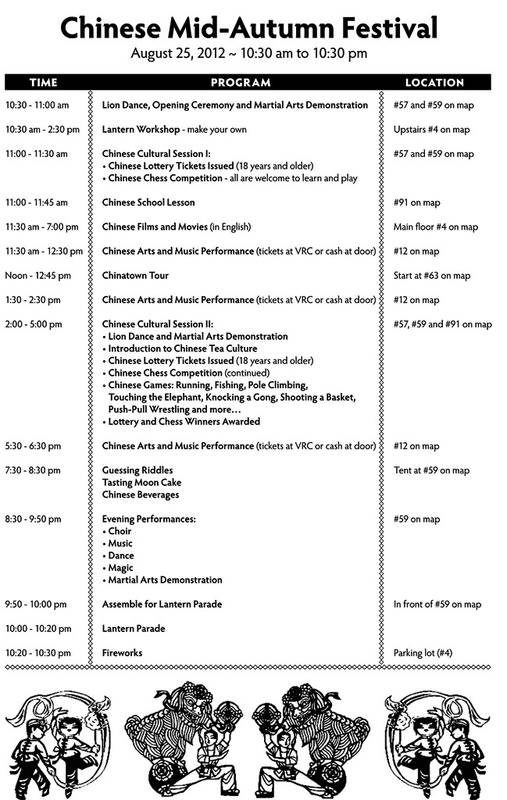 In addition to Community Supporter Barkerville Gold Mines, the 2012 Mid-Autumn Moon Festival is made possible by Community Sponsor McElhanney Consulting Services Ltd., and Community Supporter Sandman Hotel (Quesnel). For more information about the Mid-Autumn Moon Festival, or any of Barkerville’s 150th anniversary events, please visit please visit www.barkerville.ca/special_events.htm.